Rockcliffe is one of a number of small seaside villages along the stretch of the north shore of the Solway Firth known as the Colvend Coast. To reach it you turn off the A710 in Colvend, five miles south of Dalbeattie, and travel just over a mile (passing Torbay en route!) to the southern end of Rockcliffe itself. The road ends in Rockcliffe, and although there are a few parking places at the north west end of the village, your best bet is to park in the signed parking area just above its south east end, i.e. before you actually get into the village itself. Rockcliffe is an extremely pretty place. 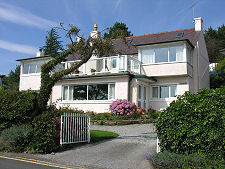 An arc of largely white-painted houses and cottages stand on the landward side of the road, looking out over the beach. 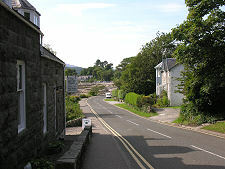 The village stands on the east side of the mouth of Rough Firth, the estuary of the Urr Water. Two islands are visible offshore. The more distant is Hestan Island, complete with its lighthouse and cottages. 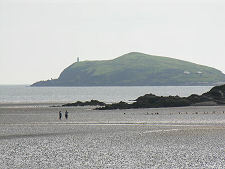 Closer in, a third of a mile from Rockcliffe, is Rough Island. This is accessible on foot at low tide, either via a causeway of sorts from the north, or directly across the sand from Rockcliffe. Anyone intending to visit should first find out how long they have before the incoming tide cuts the island off once more: and the island should be avoided in May and June to allow nesting seabirds to breed in peace. 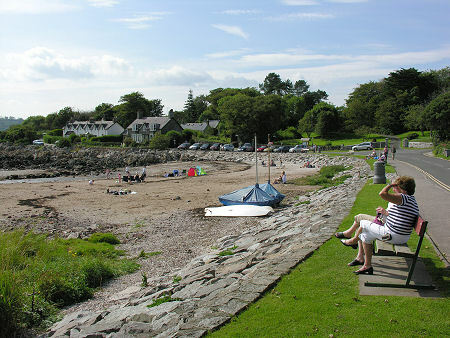 The beach at Rockcliffe attracts many visitors, though it has two very different aspects, depending on the state of the tide. 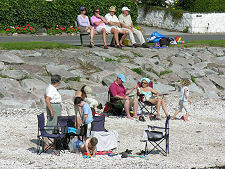 Visit at high tide and the sea can be within a few yards of the sloping wall beside the road. At low tide, on the other hand, the nearest open water can be the better part of a mile away, beyond the beaches and the craggy rocks that punctuate them, beyond Rough Island, and beyond the mudflats in the estuary. 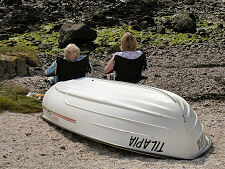 There is very little commercial activity in Rockcliffe. 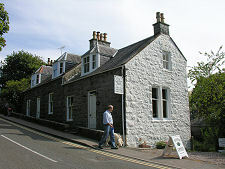 A cafe stands on the seaward side of the road near the south east end of the village. 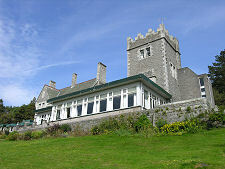 And on the hillside north of Rockcliffe is the Baron's Craig Hotel. 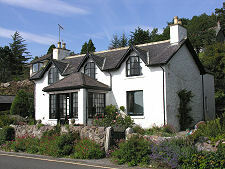 Outside the village itself, much of the land in the area is owned by the National Trust for Scotland. This includes parts of the coastal strip south to Castlehill Point, which marks the true entrance to Rough Firth, and Rough Island. 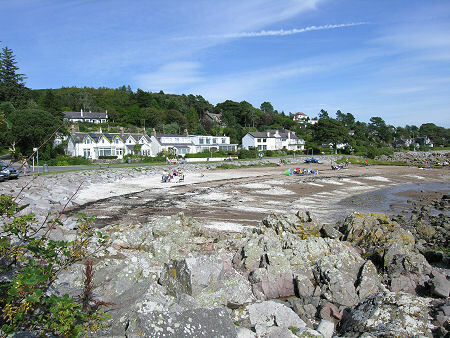 The NTS also owns much of the coastal land north west of Rockcliffe, through which a footpath leads to Kippford, a mile away. En route you pass the Mote of Mark. This dark age hillfort overlooks the Urr Estuary and is thought to have been occupied for up to 300 years until being destroyed by fire in the 700s. It is said to be named after Mark, King of Dumnonia, and links have been made with the story of Tristan and Isolde and with the legends of King Arthur.